Thanks for posting this nice tip. I used the same thing as you specified in the blog but the close icon become visible only when mouse hover the tab. I tried with the sample application you given. It also behave similarly. 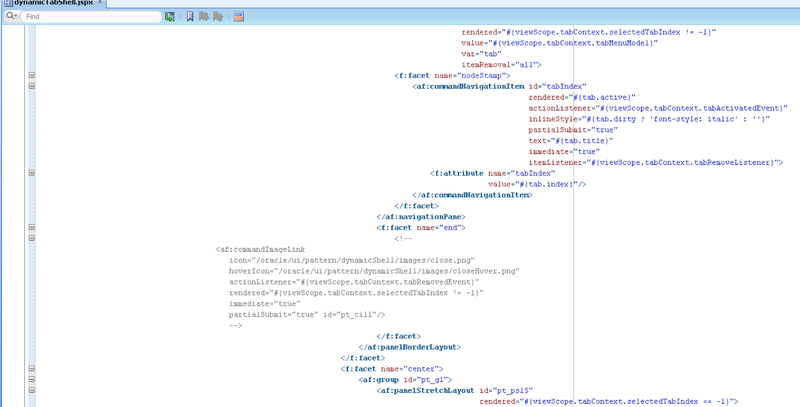 After creating CSS do i needed to do anything else other than configure trinidad-config.xm and trinidad-skins.xml. Sample app must work, there is nothing extra. In your case, probably CSS is not picked up. Yeah.. Issue was with css. close icon is visible now. I noticed another problem. I opened three tabs departments,employees,location. So now location tab is disclosed. 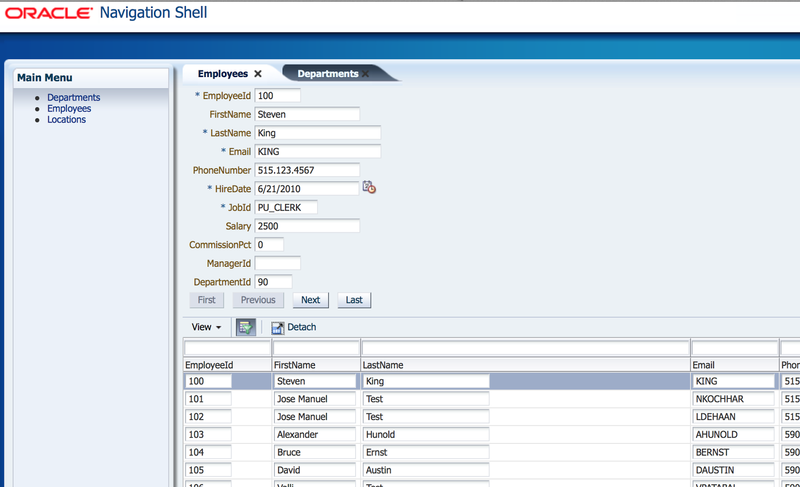 Then i tried to close department tab using close icon but location tab get closed. This is happening because we are calling this.removeCurrentTab(); in tabRemoveListener. I solved the tab closing problem i mentioned above by modifying the tabRemoveListener as below. I set the selected tabIndex just before closing tab. Its working fine. i hope you will let me know if any pitfalls in the above code. Great article but I cannot figure it out how to skip validation when closing the tab. Do you have any suggestions? Is there a way to set Immediate property? I have tested it just now - tab closing works fine in my sample app, even when there are empty mandatory fields (I have added Create in Departments). I cannot check right now with your sample app. However, it happens to me only if the tab is marked to be dirty. Try changing the default value of the Tab class _dirty property to true. The error popup is triggered even before the removeTab method is called and the dirty popup is shown. This is different use case, I would need to test it. Thanks for posting these tips. I have slightly different question on the look of the tabs, can the tabs be more square looking (rather than circular or rounded) and the tab title to be of fixed length and title overflow shown with "..". 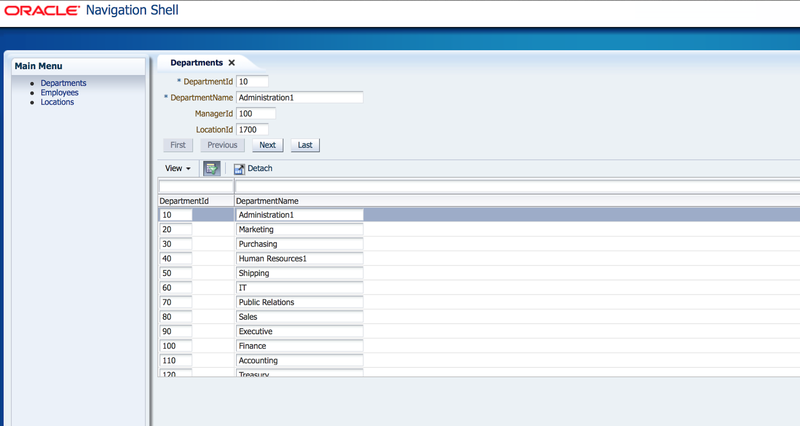 This is a business case for us and trying to figure the best way..
You could have square tabs with CSS. Also you should check 11.1.1.7 or 12c, tabs are more square in these versions. 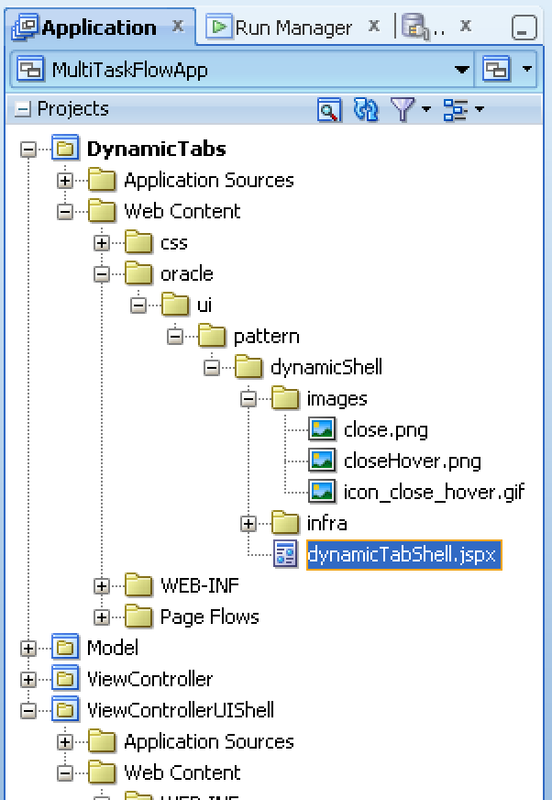 I need to execute service method at the time of dynamic tab navigation(in this method execute only selecting the particular tab).I don't know how to do that. Kindly guide me any one.